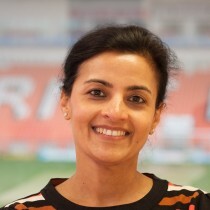 Dr Singh completed her GP training in Blackpool and has been a GP partner at The Abbeydale Medical Centre since 2004. She was a member of The PBC board and was elected as a CCG board member in 2011 with subsequent re-election in 2013. Dr Singh is CCG lead in child health and represents the CCG at the Blackpool Safeguarding Children’s Board and Blackpool Trust Mortality Board.